does DNA make a family? before I had my own child, I would have said no. I have friends + family who were adopted and who raises you and loves you and cares for you is your family. but it’s not ever something I really thought about. of course I would have a biological child. I’d have a little girl who had my eyes and my parents would be like “oh, you did that as a kid” or “she got that from you!”. then I got pregnant with Parker – my non-biological child (and a boy no less!). even though I carried him, he is Jordana’s egg and a donor sperm. and as we prepare and plan for baby 2, I’ve thought a lot about DNA / genetics and having a biological child. thinking about the question I first posed – does DNA make a family – now that I’ve had my own non-biological child, the answer is an emphatic, over the top, absolutely NOT. he may not look like me or have my DNA but this child has been with me from day 1. I’ve nursed him, fed him, bathed him, cared for him – alllll the things. and love him – oh do I love him with all my being. THIS is what makes a family. LOVE. it doesn’t matter who carried the child, who created the child, what DNA / genes are involved. Parker couldn’t be any more MY child. I may never have a biological child and that’s okay. 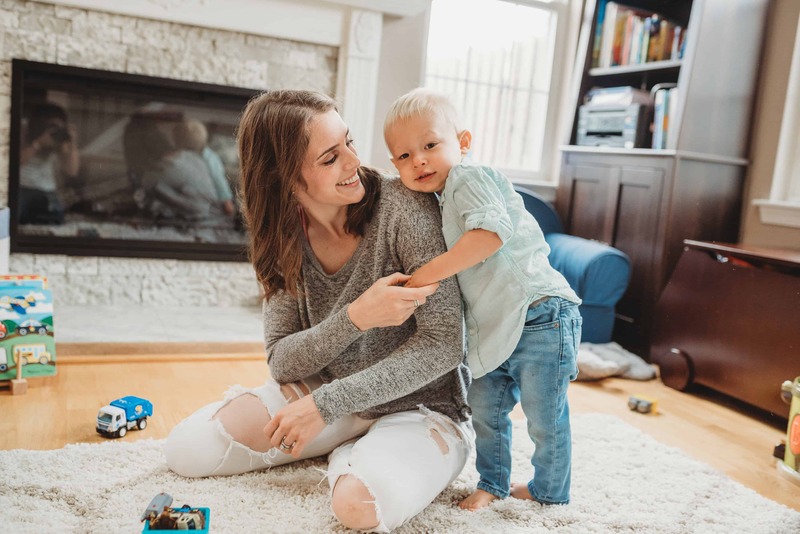 I’d like to try – we are planning on trying IUI so that I would carry and it would be my egg, but if it doesn’t work, we have two frozen embryos that were created with Parker that I would LOVE to carry and meet! It’s been a really hard decision IUI vs IVF. do I need a bio baby? what about our other embryos? I view the embryos so differently now that Parker is here. I’d love another little Parker Pie! But will I regret not trying to have a bio baby – one where I possibly see myself, my mannerisms + pass on MY athletic abilities? Possibly. I’ve decided to take it cycle by cycle. The chances of getting pregnant with IVF are 50-60%. With IUI (on medication) is only like 15-20%. So it could take a few cycles. We were incredibly blessed that we got pregnant on our first IVF transfer, so I’m thinking positive thoughts and trusting and believing it will work right away but knowing + preparing myself that it might not. phew. for those who have to go the fertility route, starting or growing a family can take a lot of planning (and money) – but in the end, it’s all worth it. Love everything about this post. Love following along on this journey to baby number two!